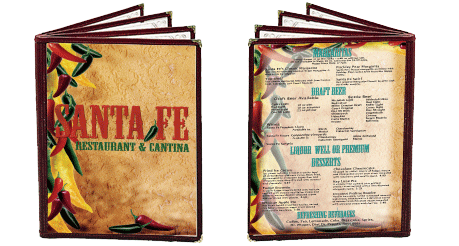 Menus are designed to fit your menu jackets exactly. We specialize in multi-version, multi-location menu printing. Use our online print center to allow your local restraunt managers to order materials as needed. Save costs and ensure consistent branding across all locations with our online print center solution for franchises.